We have been able to briefly explore the eerie Lavender Town this week, and now the Pokémon Let’s Go, Pikachu! and Pokémon Let’s Go, Eevee! file size has been revealed. That news comes from the fact that the Kanto region adventure is now available to pre-load on the Nintendo eShop in multiple regions, where the digital store lists that players will need 4.1 GB space. 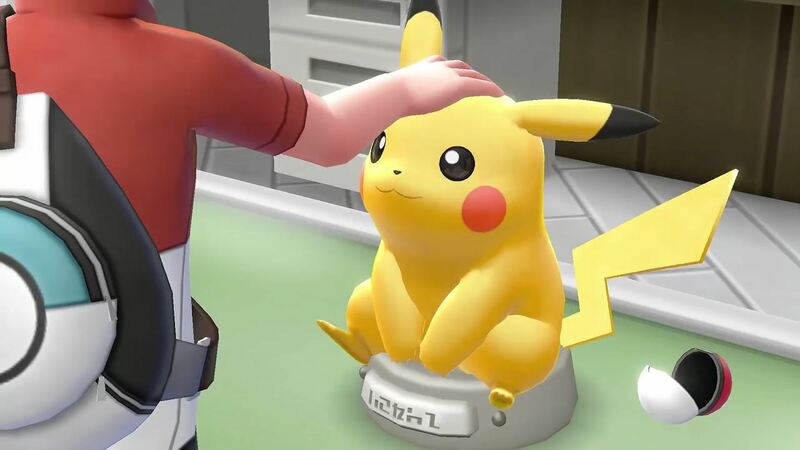 The games are based on Pokémon Yellow: Special Pikachu Edition and, depending on which you choose, Pikachu or Eevee will hang on your shoulder or ride on your head. You can swing your Joy-Con to throw a Poké Ball and catch the wild Pokémon that you encounter, a gameplay mechanic that will be familiar to those that have played Pokémon GO. There is also the chance to share the Joy-Con between two players in local co-operative, letting you explore, catch Pokémon and battle together.